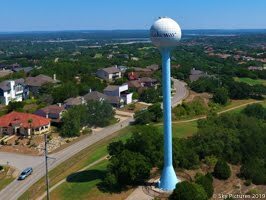 Lakeway Update: Council, Board of Ethics, CAMPO and More! Council, Board of Ethics, CAMPO and More! Another busy week! Let's get right to it. Monday city council met in regular session - here is the agenda. 4. Presentation of the annual audit by Singleton, Clark & Co. - Proud to report it was another perfect audit - no corrections or notations. Thanks to the Finance Department for the fine job they do! Special thanks to Assistant City Manager Julie Oakley for her work on this and setting up the processes that keep the city in such good financial shape! 5. We approved an interlocal agreement with Central Texas Water Coalition. They have been a big help to get the rules changed at the LCRA to keep our water here and keep us out of future droughts. Although the inflows are lower than normal for the lake we are at average levels for this time of year. Hopefully the rain event predicted for next week will give us some much needed moisture. 6. City Manager Steve Jones and SpawGlass representative David Paden gave us an update on the progress of the Police Facility. We are on schedule and on time! 7. Council granted a SUP for Garages of Texas for a facility East of 620 by "Grumpy's". It is a garage condo facility where collectors by space and build it out for collector cars. It's about 300 feet from 620 and will have no traffic impact. 8. We had a public hearing on the City Center PUD where citizens spoke on their opinions of the project. Some god ideas were heard and the developer was there to listen. 9. An ordinance was passed repealing an ordinance that designated the location of the polling place. This ordinance was no longer needed. 10-11 repealed the old Comprehensive Plan ordinance for 10 years ago and implementing a new ordinance for the new steering committee. The committee to hire and direct the consultant will be made up of two council members, two ZAPCO members and 5 citizens. Council retired to executive session to discuss the possible purchase of the 34 acre Stratus property. Currently, our appraisal has been given to Stratus and they are going to get back to us. We discussed how we should proceed and options available. Wednesday started with the Board of Ethics meeting where all individuals involved with the height determination on Challenger that was protested were exonerated of any violations. There were ordinance and process recommendations and the City will work through those. Thanks to the Ethics Committee for their work. We met with residents on Hurst Creek by the Park about traffic issues. It was a good meeting and we are going to look at ways to improve the issues they reported. I think everyone left happy with the results. CBC met in regular session Thursday. They had a long agenda. I'll update the results - I forgot the write up at the office. Good news - the TAC (Technical Advisory Committee) under CAMPO shows the request for funds for the RR 620 improvement project. Here is a link to the packet. This will widen 620 to 6 lanes with a median from Hwy. 71 to Oak Grove. The next hurdle is to get the monies approved at the May CAMPO meeting. I intend to attend to be sure it gets done. Steve Jones and I will also be attending an arterial study meeting in Marble Falls on April 2. We will take the needs of our community and be sure we are on the list. We need help from CAMPO and the County to solve our transportation issues. I intend to continue to work with the county and state to assure progress continues. LPD Officers conducted 199 traffic stops, responded to 15 alarm calls, handled 12 animal calls, responded to 19 collisions, answered 57 suspicious circumstances calls, completed 1 mental health call, and handled 121 other types of calls for service for a total of 424. Routine traffic stops resulted in the following charges; Out of Jurisdiction Warrants X 1, Driving while Intoxicated X 2, Open Container X 1, Possession of a Controlled Substance X 2, and Possession of Drug Paraphernalia X 2. Officers responded to a suspicious persons call on Gebron Drive. Officers were advised that there were subjects in the wooded area of the 15000 block. Officers located subjects camped by a fire in the woods. After investigation officers identified six subjects on the scene and charged three subjects with possession of drug paraphernalia. One juvenile involved was released to family members. Officers were dispatched to an Otter Creek address in reference to assist EMS call. Upon arrival, officers found an unresponsive female inside of her vehicle. Officers placed her on the garage floor and started CPR. The officers deployed a defibrillator; the female began breathing and was released to EMS personnel when they arrived. The female was transported to Baylor, Scott & White for further treatment. Detectives were assigned to investigate a report of a stolen motor vehicle from the City Hall parking lot. According to the victim, his vehicle was brought to the parking lot and left by a mechanic who had been doing repair work. CIU personnel reviewed video footage and phone recordings and suspected it was likely the mechanic left the vehicle at the wrong location. CIU personnel were able to locate the victim’s vehicle in the LMUD parking lot on Lohman’s Crossing. The case has since been closed as “Unfounded”. Detectives were assigned to investigate a report of Credit Card Abuse in the 100 block of Lakeway Drive. According to the victim, her credit card information was compromised by an unknown suspect(s). Detectives are following up on the few available leads in the case which remains active. Detectives were assigned to investigate a report of Harassment in the 5300 block of Serene Hills Drive. According to the victim, she received several harassing phone calls and text message from a known suspect. During initial contact with the victim, Detectives discovered the victim did not wish to prosecute the suspect. Detectives made contact with the suspect and his employer and advised him to stop contacting the victim. The case has since been closed. Detectives were assigned to investigate a report of Credit Card Abuse after a victim discovered an unknown suspect withdrew $1800.00 from her checking out without consent. During the investigation, Detectives learned the suspect was also responsible for several other crimes in the central Texas area. Detective worked with bank fraud investigators and obtained images of the suspects who have hit multiple ATMs along the I-35 corridor. Due to the withdrawals occurring at an ATM in the City of Austin, Detectives transferred the case to the Austin Police Department Financial Crimes Unit for further investigation. Week number five of the Citizen’s Police Academy was held at Lakeway City Hall. Animal Protection Officer Andrea Greig instructed on topics related to our animal protection program and Sergeant Eric Barto taught a class about crime prevention. That's all for today. More as I find out. If you would like to be added to the email list send a note to lakeway@bain.us and I'll get you fixed up.